which allows you to visit most important Warsaw's attraction at a lower price. 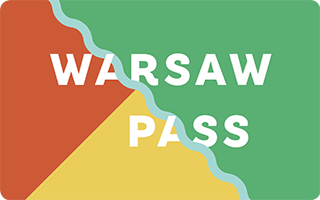 With the Warsaw Pass card free admission. You can hire a guide in the museum but you need to make a reservation first. The average visit with a guide takes about 45 minutes. The guides speak the following languages: Polish, English, Russian, French, German, Spanish, Italian and Japanese. We also have lessons in the museum for schools. More information in the museum offer. NOTE: the maximum number of people per visit is 50 people - larger groups are divided and enter the museum at intervals of 30 minutes. Transfers and tours by a genuine Nysa 522 van. Rent a classic Fiat 126 p for a self-drive tour! See the list of props.